FITS STANDARD TABLES - Sized to fit almost all massage tables with rounded or square corners. The elastic bands slip on easily and stays in place. 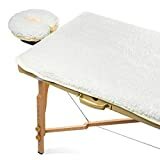 Elasticized headrest cover fits most standard massage table crescent shaped face cradle pillows. EASY CARE - For best results, gentle machine wash and low-heat tumble or hang to dry. 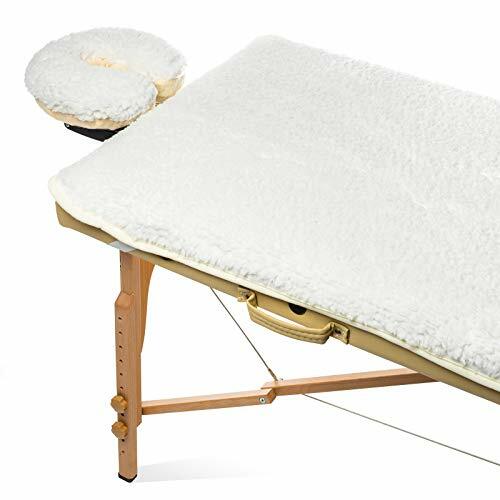 2 PIECE SET - Includes a 72" x 31" flat pad and 12" x 12" x 4" face cradle cover.